For the past 5 years Dartford Deeds Not Words has had a huge success organising the Dartford Toy Appeal. Most importantly, Dartford’s community has been generous with their gifts to help the less fortunate in our society. This has prompted DDNW to help the same causes at Easter. 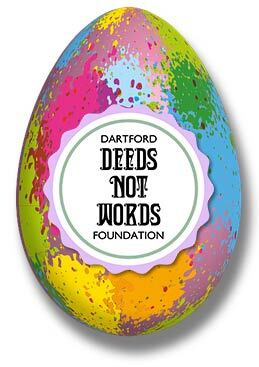 With the support of Stephen Oliver: Studio & Gallery and Wisdom Estates, acting as drop off points, Dartford Deeds Not Words will give each local cause a supply of Easter Eggs. The eggs will then be distributed to their families in need or used at Easter events they are holding. Imago – Kent Young Carers – is the countywide service for Young Carers aged 5-18 across Kent. Mary’s Child – supporting families and people in need. Homestart – helping young families. Women’s Refuge – giving a safe home to women and children fleeing domestic abuse. Dartford Deeds Not Words was started to support local charities and causes that make a difference to people in Dartford. By facilitating small deeds DDNW hope to enable them to continue to support people within our community. 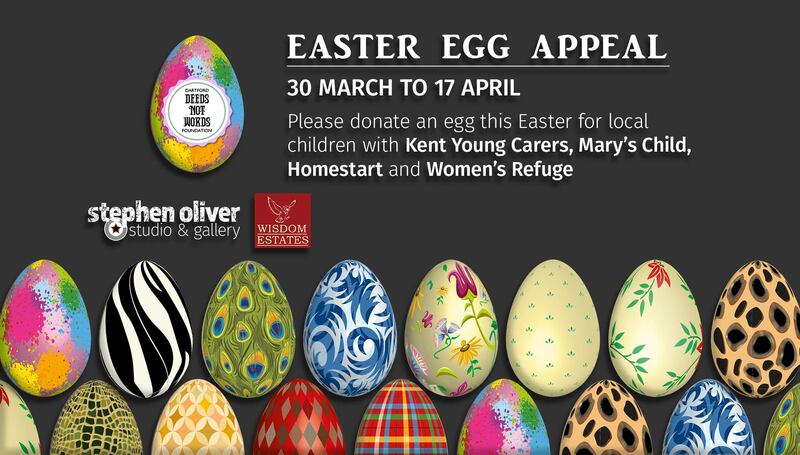 Could you or your organisation donate an Easter Egg for our Easter Egg Appeal?